This demo uses a Perceptron Neural Network to recognize the digit that you draw in the box below. Press the Recognize button after you are done drawing or the Clear button if you want to start over. 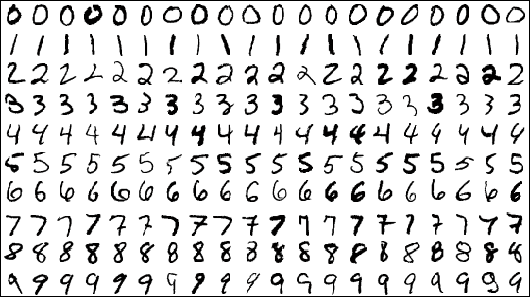 The network was trained using the famous MNIST dataset, where the digits looked like the examples shown here. This is the "American way" of writing digits in contrast to the "European way", where you would write particularly the 1 and the 9 differently. Please visit the project's GitHub Page to learn more and to start tinkering. This demo was created by sy2002 in April 2018.